William 'Bill' or 'Bumpy' Charles Spiller, 91, of Southborough and formerly of Sudbury and Stow passed away on July 25, 2018. 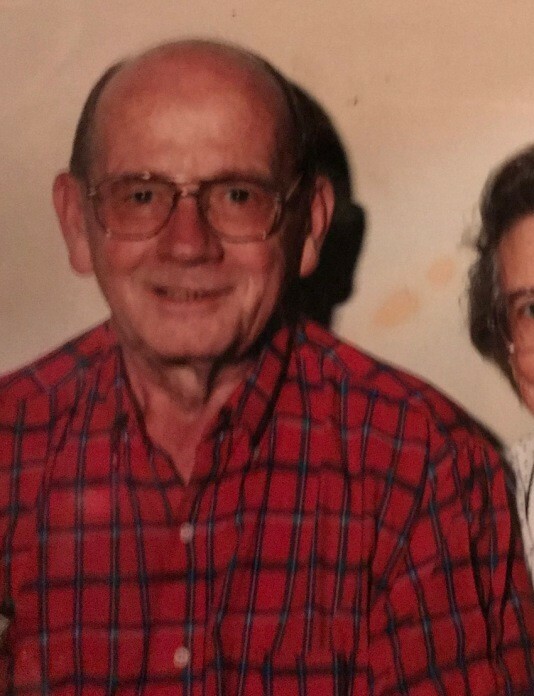 He was the devoted husband of the late Linda June Spiller for almost 62 years before she died in 2008.
his six children, grandchildren and great grandchildren, nieces and nephews and friends from as far away as Durham NC , Limington and Chamberlain ME. Bumpy was beloved by his family and many friends. He was a good and faithful servant who loved the Lord, and exemplified a humble spirit, loving heart,cheerful giving, resourcefulness, and a hard working ethic. Bill was a World War II Navy veteran serving in the Pacific on the Bon Homme Richard. The deck was turned into a hospital with bunks piled three high to care for the service men who were headed home from the islands at the end of the war. His Mom became a Gold Star Mother when his older brother was killed in Germany. Early on Bill enjoyed working at a dairy farm located in North Sudbury. He attended Bentley College for accounting. Then entered the construction field at Conver Steel and Wire Co. and Richmond Screw and Anchor Co. in Waltham and Billerica for over 30 years from which he retired from. Bill was an avid gardener and made sure he knew about the latest weather forecast to prepare for the next day’s work. He helped to maintain the gardens at Colonial Gardens, even mulching during this past year. Bill also made sure that his family cemetery plots along with plots of friends were cared for at the Sudbury cemeteries. Bumpy enjoyed bowling and card games with his children and grandchildren, teaching his children and whomever needed lessons how to drive, and leading the Methodist Youth Fellowship at the Sudbury Methodist Church where he was on the Building Committee. He is survived by his children, June Spiller of Milford; Ben Spiller and his wife, Lillian of Durham, NC; Tad Spiller and his wife Dorie of Limington ME; David Spiller of Limington ME; Wendy Miller of Sudbury;Robert Spiller of Southborough; his grandchildren, Jamie Trank, Joey Trank, Michelle Trank, and Janet Trank; Adam Spiller, Asher, Spiller, Meredith Wurpel,Blake Spiller, Seth Spiller, Taylor and Mariah Stuart. 12 Great Grandchildren, Ryan Trank, Dylan Trank, Krystal Chambers, Justin Doucette Trank, Cameron Doucette Trank, Oliver Spiller, Linus Spiller, Emerson Spiller, Lilly June Wurpel, Margot Spiller, Robin Spiller, Cahlin William Stuart and many nieces and nephews. Relatives and friends are invited to greet Bill’s family on Friday, August 24, 2018 from 4 to 5:30 p.m. at Morris Funeral Home, 40 Main Street, Southborough. Immediately following the visiting hours there will be a Memorial Service for Bill at 5:45 pm at the funeral. In Celebration of Bill’s well-lived life, a service will be held for the family in Goffstown, NH. The burial will be at a future date.